I have a 1998 Trek 5200 and I'm trying to improve my riding position. I'm not as young as I once was and can't ride on the drops very long. I'd like to switch to a compact drop bar and raise the bars a bit. Quill of that vintage typically have a 26mm bar clamp. or have seen other stems with more extension angle (intended for MTB). They all require special order and if I don't like the fit its a shipping exchange process if at all. There are many more choices for 31.8mm compact drops and they can be found in local shops. I looked for 22.2 x 31.8 quill stems and found Nitto makes one. I've also found a couple with raised angles (again for MTB). The other option is a quill to thread-less adapter, then use a modern treadless stem and 31.8 compact drops. Most of the quill to thread-less adapters seem heavy and clunky. Best I've found are from Nitto or Profile Design. What have you done upgrading your quill stemmed bike to use 31.8mm bars? ...on the two occasions I did something like this, I just found myself a tubular steel welded stem, as in this photo. These stems are much more forgiving in fitting various diameter bars because the clamp is steel, thus less fragile/more ductile. Also, if you look around, they're available in a wide range of upward angles...so you can get something that is of shorter reach that brings the bar closer to you. This helps in establishing an upright position. BF Member JoeJack951 has created a very nice option for a threadless conversion. Probably have to PM for availability. I like JoeJack951's design, but I'm kinda new so can't sent PM's yet. Boosting my PM count now. I've started to look into Profile Designs quill to thread-less adapter. One of the better / lighter options. That looks very clean. However, an alternative is to simply use a threadless quill and a threaded headset. Thus, no need for the spacers or compression. Just put in the quill, and clamp the stem on. I suppose another alternative would be to get a 1" threadless fork and shim and use a standard threadless stem. Nonetheless, that is a unique solution above. I've gone with these stems. They only seem to come in 80mm and 90mm sizes (or are all the same size with different measuring). Only 2-bolt. But, so far so good. I like the flat top bars (aero), so the open face is useful. JoeJack951's set-up looks pretty cool, perhaps if it had been around, and I found it back when I went through the "change", I'd have gone that route, but ordinarily I am genetically predisposed against threadless adaptor doo-hickeys. And along the way I also tried Factory Five's 31.8mm quill, which is the original version that CliffordK's fleabay knockoffs copied, but found it slightly flexy and even worse - a little odd-looking. Besides suggesting that threadless headset conversion - jan230 also mentioned the Nitto M151, which I can tell you from experience is a good one, but it seems to have gotten glossed over here. 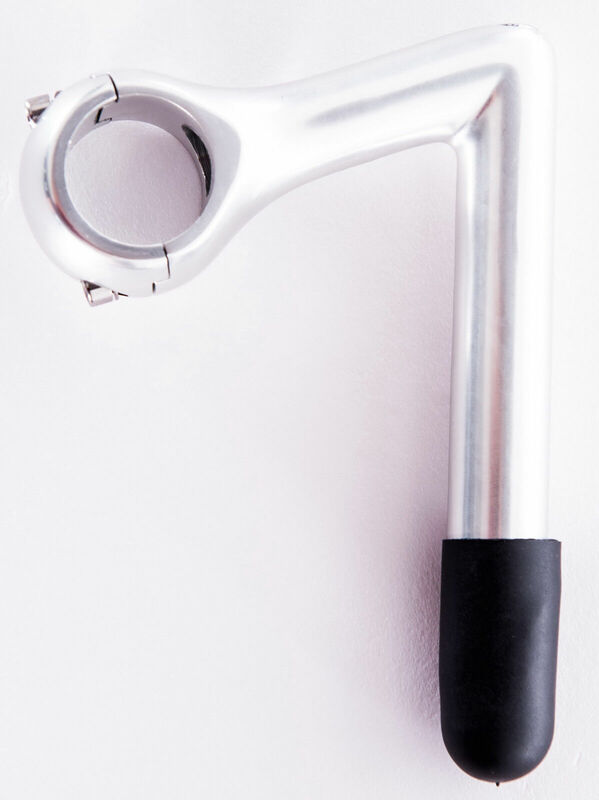 You might also consider the Dajia Cycleworks shallow drop handlebar that is available from VeloOrange. I liked mine and found it comfortable, but foolishly let it go when I sold the bike it was on. One has the Soma Highway 1 that you mentioned in your OP. I really like and recommend it highly to you. Even if you do have to special order one, it is cheap...errr...inexpensive enough that it won't hurt you if you do decide its not for you. The other short, shallow bar I am presently using, and absolutely loving, is Nitto's M106 NAS Chinook. It has a somewhat rounder, more traditional-looking shape so nobody I ride with has ever caught on that it is a modern, "compact" bar until i told them. Thanks for the 26mm bar info. My list has grown. I think Soma might be from San Francisco, just up the road from me. I'll check into them. Since raising the bars is part of my fit plan, I'd need to find a taller quill stem or one with more extension angle. I also tried Factory Five's 31.8mm quill, which is the original version that CliffordK's fleabay knockoffs copied, but found it slightly flexy and even worse - a little odd-looking. I haven't noticed any flex or movement, but I was experimenting with low gears on that bike, so less standing climbing. I suppose one could go with a MUTANT instead. I like my IRD Blackbird 26.0 Aero Ergo bars. But, unfortunately they're discontinued, and I've been unable to find a second set. I'd prefer compact curves to ergo curves, but they work well enough. I even contacted IRD, and they had no interest in bringing them back. I wanted to try 31.8 bar on my road-going old steelie track bike so I rode with a Factory Five Titan stem for a little while. Yes, I stand up to pound my way up bridges and/or causeways that serve as hills in my locale, and so yes, there was some flex. OP - if you search, there is a buttload of vintage and modern quills that will help you raise your handlebar, if that is what you think you need after swapping to anything on that list you made. 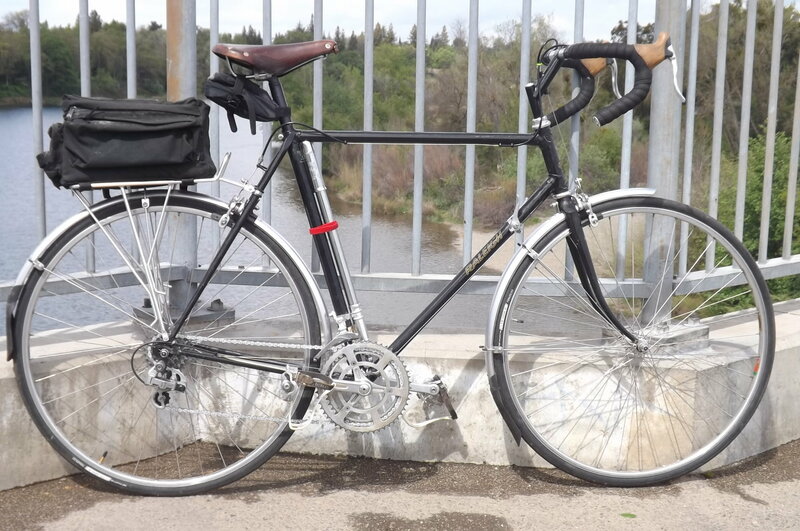 These Velo Orange drop bars have gotten me back to actually riding the drops comfortably for significant distances. The shallow drop and large flair also offers a feeling of good control and I find the position (hands farther apart than traditional drops) opens up my breathing. 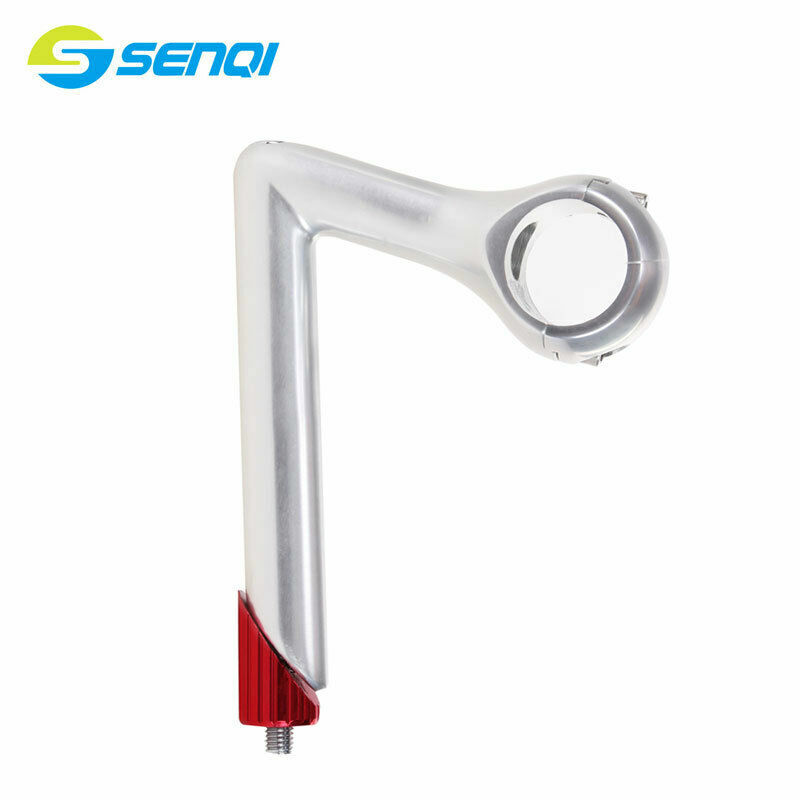 You might could avoid the expense of replacing the stem, by changing the setup. I almost never ride in the drops. My cure is to move the levers higher on the bars, and rotate the bars a bit so that riding on the hoods is the comfortable position for me. I have no problems braking from the hoods that way, and it avoids the awkward-looking angled stem. I found several 26mm (clamp) compact drops on-line but none I could try out. I also found several quill stems to give more bar height. I really wanted to “see” and “feel” them and didn’t want weeks of shipping cycles. I went to bike shops to get the “feel” for what’s on current bikes. To give some feel to the dimensions I'd collected. I also looked at what handlebars were available. In one shop, I found a compact drop bar called Pro Discovery. Pro is a Dutch bicycle company. In addition to compact drop it has compact reach, a 12-degree sweep and ergonomic / flat bar tops. With the sweep, the 44cm bars are 46cm c/c at the end of the drops. On their website, they are categorized as gravel bike bars. It has a 31.8 clamp diameter so requires a steer adapter. I got a 100mm FSA Gossamer stem with 84/96 degree rise depending on which way you flipped it. I got some gel/cork bar tape. • Hooks are 8cm closer (compact reach). • Drops are 4cm higher (compact drop). I did a test ride today. Near where I live we have a classic ride behind Stanford University called the loop. On the back side of the Loop is a famous climb called Old La Honda. I did the Loop with Old La Honda. 25.5 miles and 2440 ft of climbing. Old La Honda is a 3.5 mile, 1350 foot climb. There was plenty of distance to try out all the hand positions. Being slightly more upright felt good. Having the hoods a little closer felt good. The gel/cork tape was comfy. The ergo/flat tops were comfortable. Having the hoods closer to the bend in the bar gave more support and lined up with the gel pads in my gloves. The slight flare causes the hoods to line up better with my hands. I even could ride on the drops for long periods. All good. The critical test was the long old La Honda descent. The position of the hooks being higher and closer allowed me to see quite comfortably. I also tried descending on the hoods and the flare put the brake levers in a better place. There seemed to be a void under the brake hood where my palms rested. I stuck some foam under the hood and improved the feel. Update, I've ridden several 100 miles and 10,000's feet of climbing, I am loving the setup.